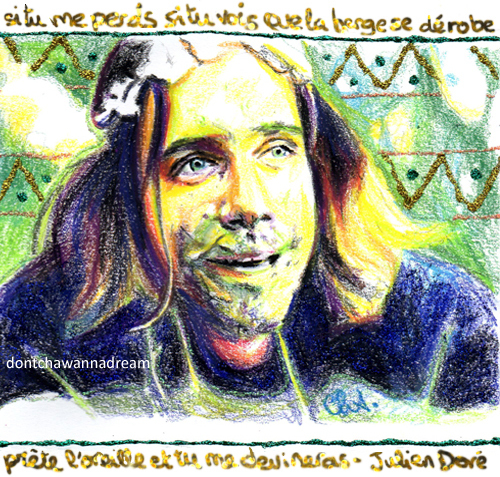 ‘Si tu me perds, si tu vois que la berge se dérobe / prête l’oreille et tu me devineras’. He reminds me of someone, but I don’t know who. Nice drawing, as usual! lol maybe a neighbor. Who knows? Or you watched French tv once and saw him. Ohhh! How wonderful you told me that – Cha, you rock!